Search Engine Optimization (SEO) starts with discovering the best keywords for your business. Here are a few questions and instructions on how to choose the right keywords for your products or services. What are the 5-10 root keywords that are most relevant to your business? If you were searching for your products or services, what would you put into a search box? What would someone that didn’t know anything about your products type in a search box? What are the interests and demographics of your ideal customer? How do your customers define your products and services? Where are your ideal customers located? What time of year do your ideal customers buy products and services? How do your ideal clients purchase products in your segment? How do your customers buy? It’s essential to know the answers to these questions. 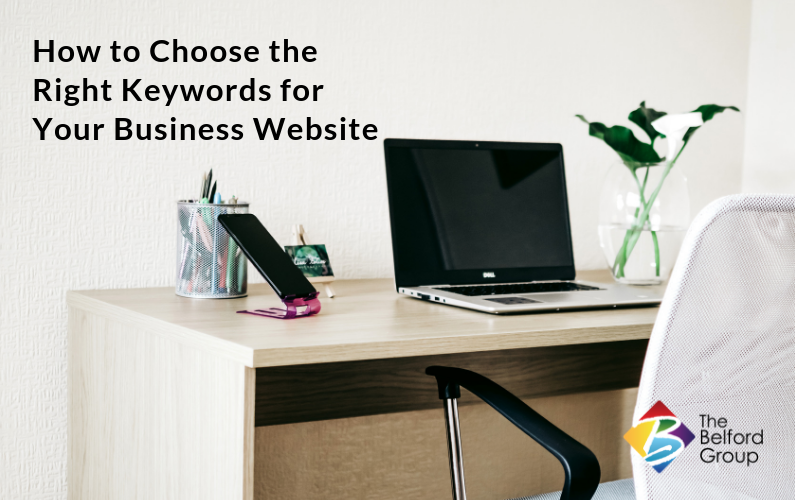 They all relate to keywords for your business. Now, write down your list of 5-10 core keywords based on your responses. Once you have a core list, there are other tools to help you build your list. Step 4: Enter words, phrases, or a URL related to your business separated by commas. Google will show you a results page that lists the keyword by relevance, average monthly searches, the competition for that keyword, and top of page bid amount with a low and high range. You’ll want to find the words that are highest in average monthly search and also have the highest bid amount. Those are your money words. They cost more to be at the top of the page because they convert or attract buyers. I recommend downloading the keyword ideas to an Excel spreadsheet and sorting them first by highest in search results, then most expensive bid, and lastly by competition. You can “DOWNLOAD KEYWORD IDEAS” by clicking on the link at the top right of the search results page. Let’s define what the search results terms provided means. Average monthly searches refer to the average number of times people have searched for this exact keyword. It’s usually the monthly average for the past year. Competition is the level of bidding competition for a given keyword. Google calculates the number of advertisers bidding on each keyword relative to all keywords across Google Search. If there is no data, there is a dash in the results for that column. A suggested bid is the amount that Google recommends you place your bid for that keyword for it to show up at the top of the first page in search results. Don’t just look for keywords that have the most searches. To choose the right keywords, look for ones that have a combination of high search volume, higher suggested starting bids, and higher competition value. These are your money words. Add the ones to your list that fit your services or products well. Include the words on your list to your website content, image titles, and alt text to beef up your SEO. We are social! Keep up with all the marketing trends and information by following us on Facebook, Twitter, and Instagram. Or, never miss valuable information by subscribing to our bi-weekly newsletter delivered right to your email.